The Datsun Go Plus was originally launched in 2014 by the Japanese carmaker. In 2018, the carmaker has updated the Go plus MPV, with a significant design upgrade, new features, spacious cabin, fuel-efficient engine and a host of safety equipment. The Datsun GO Plus price starts from around Rs. 4 lakh and to get the top-spec model, you will need to spend Rs. 5.75 lakh. If you are planning to get your hands on one, here’s a quick review to help you out. The Datsun Go Plus comes with a dynamic chrome grille along with stylish and sharp LED DRLs. It rides on the alloy wheels of 14-inch that adds a pretty attractive feeling. It is available in five different colour options – Bronze Grey, Opal White, Sunstone Brown, Crystal Silver and Ruby Red. Moreover, it features a ground clearance of 180 mm, which is pretty good in this segment. The Datsun Go Plus features high roofline along with large doors that make in and out from the car easy, even in the third row. The wheelbase measuring 2450mm assures that the last row passengers will have ample legroom. The third row can be folded easily. Once folded, it can offer up to 347 litres of boot space, which is segment’s best. The vehicle comes with a touchscreen infotainment unit of 7-inch, which has connectivity options like Android Auto, Apple CarPlay, AUX-in, USB and Bluetooth. It also has the intuitive email read-and-reply, Whatsapp and SMS feature. The vehicle comes with a host of other features as second AC vents, electrically adjustable ORVMs, a rear wiper and all four power windows. 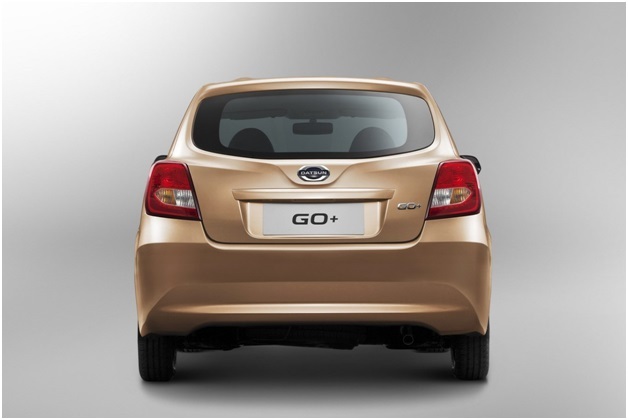 The Datsun Go Plus is equipped with a 3-cylinder petrol engine with a capacity of 1.2-litre. It is capable of belting out a maximum of 68 PS of power along with a peak torque of 104Nm torque. The power and torque come at a rev range of 5000 rpm and 4000 rpm respectively. The engine comes mated to a 5-speed manual transmission, which is accompanied by a light clutch. It is capable of providing a mileage of 19.83 kmpl (ARAI-certified). 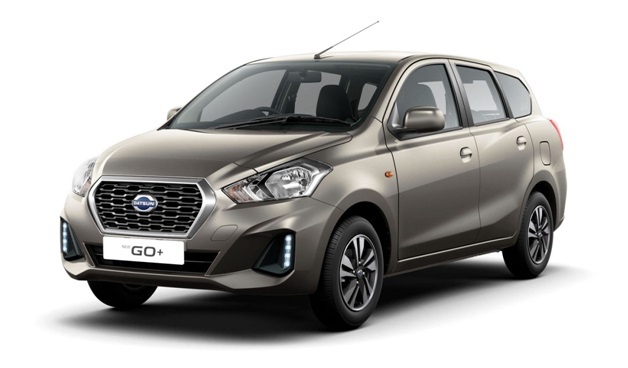 Speaking of the safety feature, the brand-new Datsun Go Plus comes with disc brake at the front while the rear wheels stop with the drum brakes. Both of the brakes supports ABS with EBD (electronic brakeforce distribution). The vehicle comes with dual airbags. Other safety features include brake assist (BA), rear parking assist sensors and seatbelt reminder. The Datsun Go Plus is a unique 7-seater MPV from the manufacturer and it takes the competition to another level. The eye-catchy design, fuel-efficient engine, feature-loaded package make it an excellent choice among its competitors. It is giving a tough competition to the likes of Maruti Suzuki Ertiga, Renault Lodgy, etc.